The Christmas Season has just started and everyone is busy making a list and going bargain-shopping for gifts. Some may even be budgeting their year end bonuses already. Luckily, Asian United Bank (AUB), have that in mind when it launched its first ever credit card that suits a cardholder's budget. 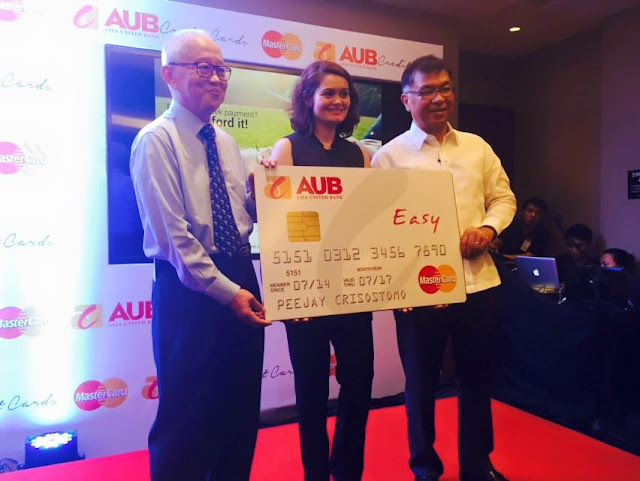 The AUB Easy MasterCard is flexible and is first in the industry to offer this unique feature. 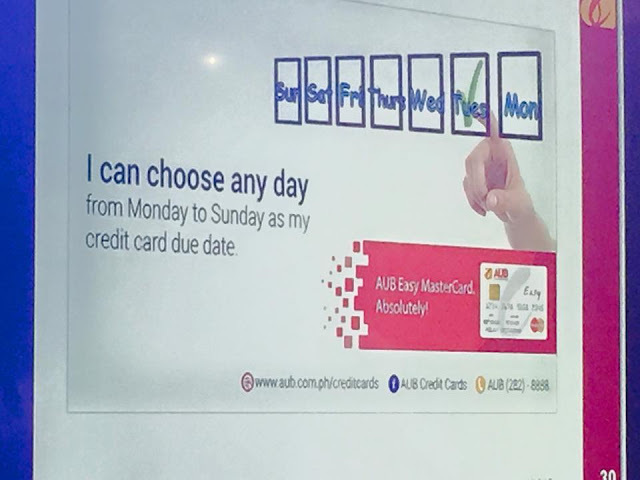 The card allows cardholders to choose the mode of credit card payment: how much to pay, how often to pay, and even when to pay. 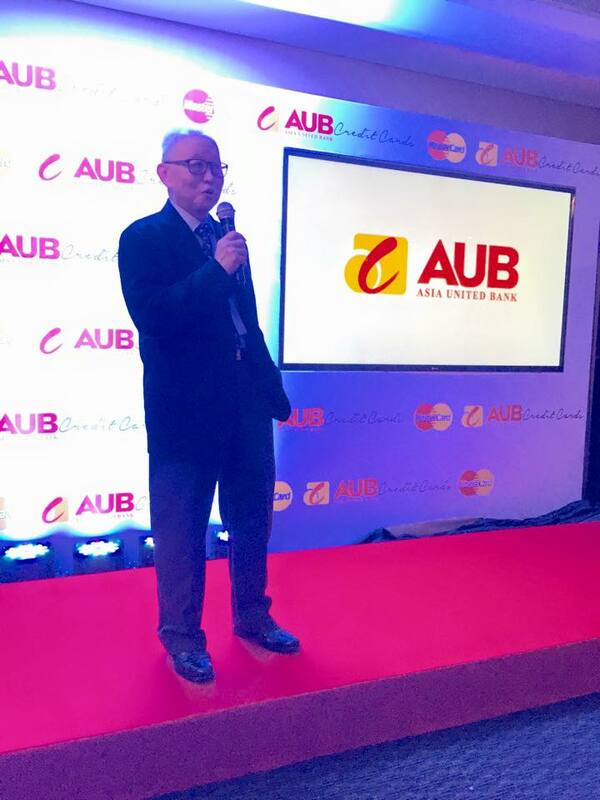 "At AUB, we always strive to deliver technologically advanced, best-in-class, and innovatice products and services to provide real solutions to our customers. 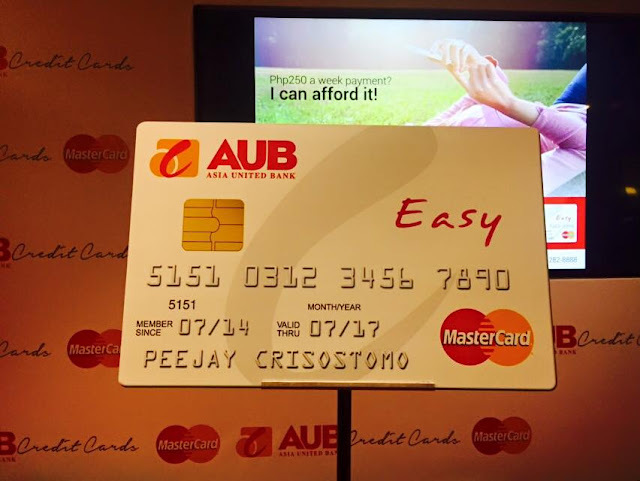 This philosophy has guided us in designing the AUB Easy MasterCard, which has features that directly address the concerns of our cardholders," said Abraham T. Co, AUB President. 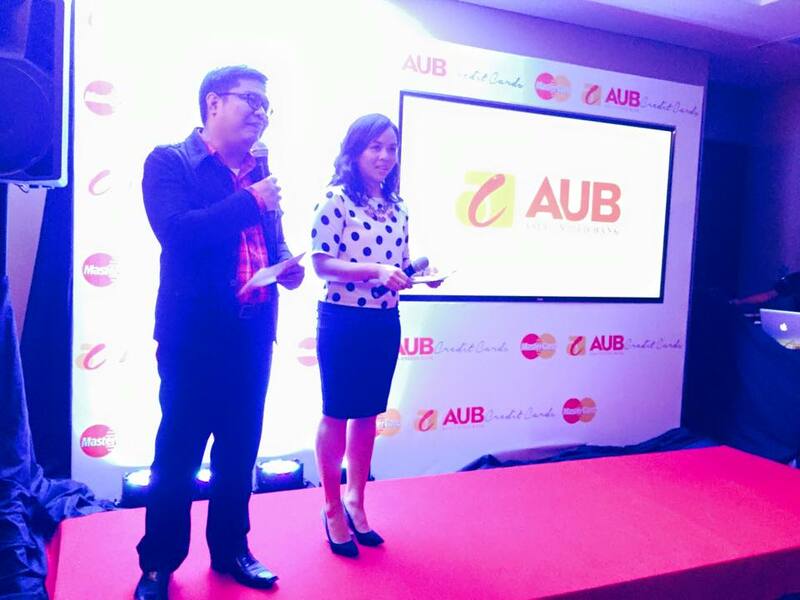 "We are confident that the introduction of the AUB Easy MasterCard will not only change the way we perceive and use credit cards, but will be a game changer in the credit card industry as well." The cardholders are guided when it comes to having a payment scheme that suits their budget: monthly, semi-monthly, or weekly. The card is also fully loaded depending on what payment scheme the cardholder chooses. It also has Rewards program, an electronic statement, and an "All-Ur-Bills" feature that lets cardholders charge utility bills to the card. And because the Christmas Season is a season of giving, the cardholder can enjoy both going to the mall or doing some online shopping. ZALORA, the premier site when it comes to a more convenient way of shopping heralds in the holiday cheers by creating a gift guide for everyone who's on your shopping list. Check out ZALORA's offerings for Christmas gift ideas! And have your fill of a stress-free Christmas shopping with items delivered right at your doorstep. And not only that, the AUB Easy MasterCard makes it easy for you and your wallet. The AUB Easy MasterCard is one of the company's latest innovative offering. And this was developed in response to the real sentiments of an ordinary customer. It gives the cardholder a flexibility in managing their credit cards.